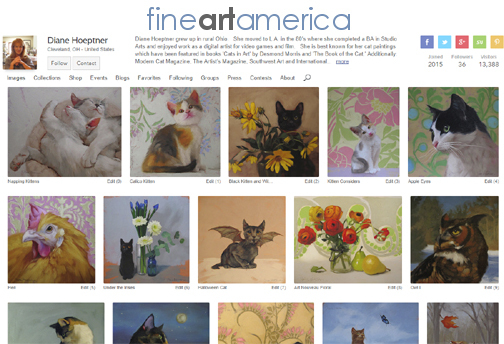 An updated selection of prints is now available on Fine Art America. The website offers a variety of material, size and price options, including framing. With prints starting at less than $13-- it's an affordable way to have unique art! Here's a link. I ordered a print of Coco for myself... was especially curious to see the quality of larger prints- for my small paintings. That's a 24" x 24" print of Brooding Coco. 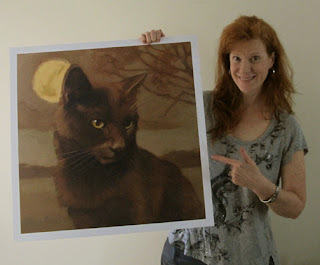 The original size of the painting was just 8" x 8!" The image is crisply printed with accurate colors... It arrived in a timely fashion, expertly packaged to prevent damage in transit. Here's the link!